Have you noticed how much harder it is to keep track of your spending when most of it is done virtually? Electronic transactions are so simple that we can easily forget how much we’ve spent and how much money is left. 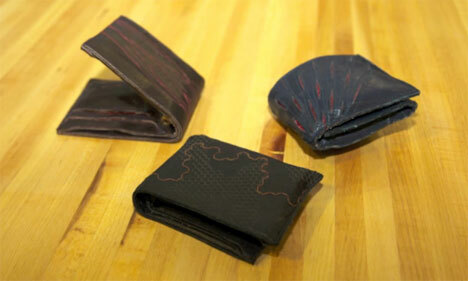 Five smarties at the MIT Media Lab have designed three wallets that give tangible feedback on the shape of your finances. 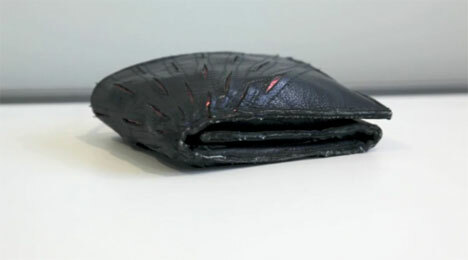 They call them Proverbial Wallets: billfolds that simply won’t let you forget how much you’re spending online. 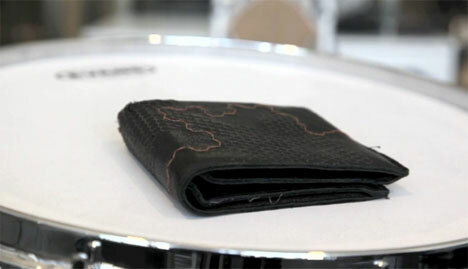 Each of the wallets is kept updated on your bank balance via Bluetooth. The Mother Bear protects your money by becoming difficult to open when you’re getting close to your monthly limit, so grabbing that debit card for just one more online purchase becomes progressively more difficult. The Bumblebee buzzes along with your banking activity, differentiating between deposits and withdrawals with different patterns. The Peacock is a kind of financial mating tool: it inflates and deflates depending on the amount of money you’ve got. 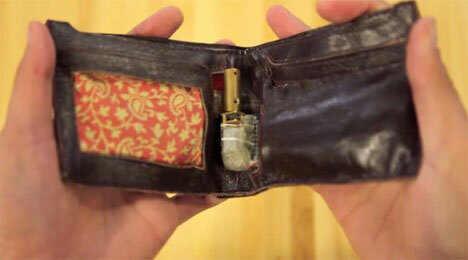 A tiny, skinny wallet means the guy or girl holding it will be taking you to Taco Bell for dinner, while a nice puffy wallet means you’re getting a steak. The wallets give over-spenders a way to physically track their expenditures, which has been missing for many of us since we stopped using cash for the most part. The clever project was the brainchild of MIT students John Kestner, Daniel Leithinger, Henry Holtzman, Emily Tow and Danny Bankman.